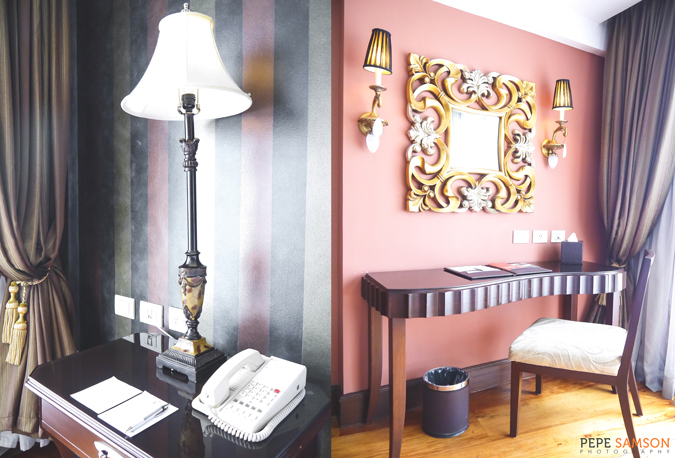 As soon as I stepped into our room in Hotel Celeste, armed with a weekend bag and an excitement to spend a night of total laziness, I knew that my stay was going to be very special. 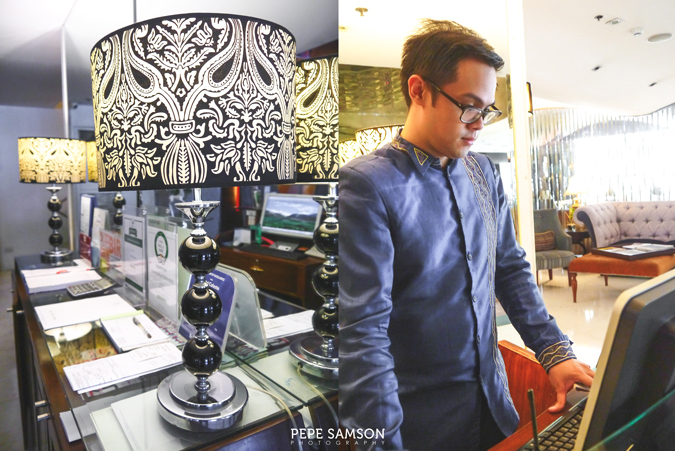 I looked around with a child-like glow in my eyes, marveling at each piece of beautiful furniture, at each intricate detail, at each delicate element of the room. This was, by far, the most charming room I’ve ever seen. 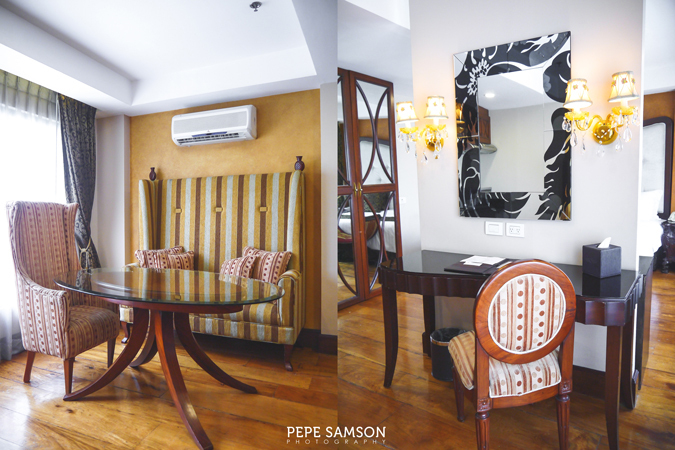 Hotel Celeste is a stylish, European-inspired boutique hotel situated right within Makati—a short walk from the Greenbelt and Glorietta complexes. 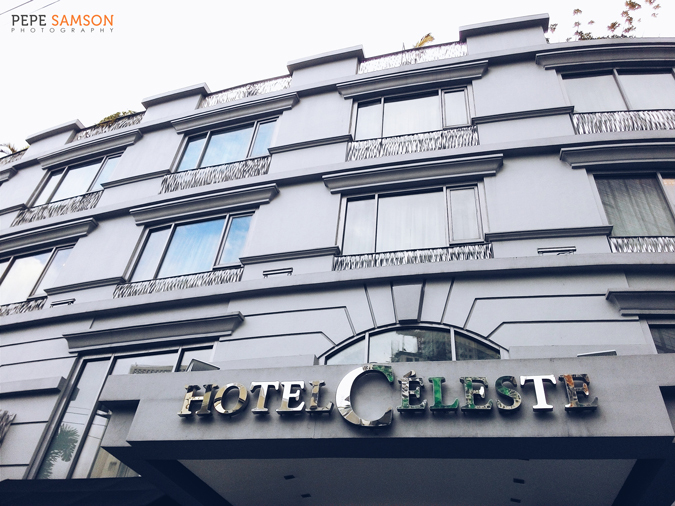 With all the soaring structures occupying the business district, it was refreshing to know that a unique place such as Hotel Celeste exists. 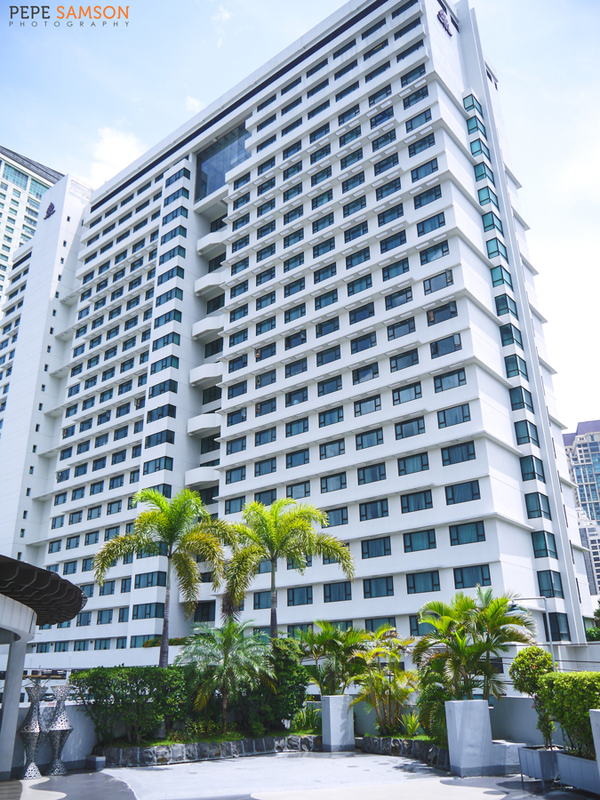 Its façade may look modest and timid compared to the behemoths around it, but be prepared to be astounded once you set foot into its interiors. I don’t know how to put it any other way but this: I disappeared from Manila in a matter of seconds and was transported to a whole new world. The boutique hotel houses 25 Deluxe Rooms and 5 Suites that have unique designs—yes, that’s right, no two rooms look the same! 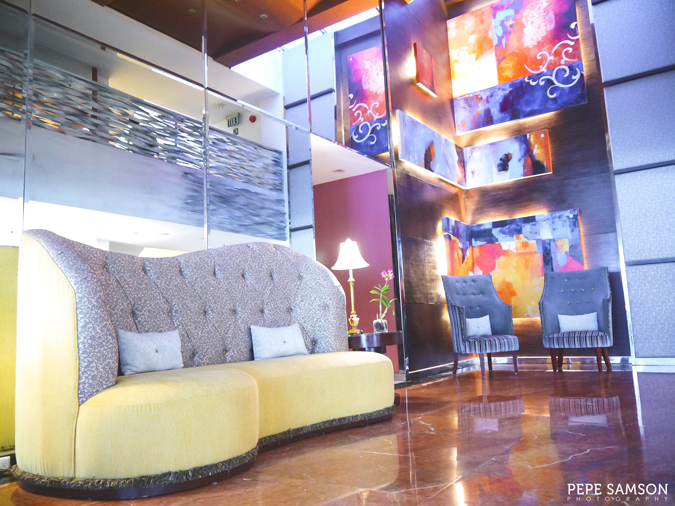 There is no shortage of creativity, amazement and surprise when you’re at Hotel Celeste. 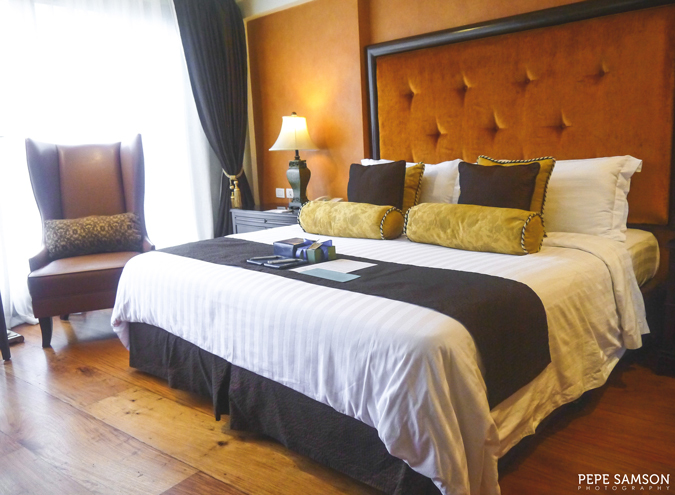 Read on to find out more about the most awesome staycation you will ever experience in Makati. The first thing you will notice upon entering Hotel Celeste’s double doors is the door ambassador donning a quirky costume. Eccentric as it may look, it completes the European feel of the premises, and wait until he leads you to the front desk, which is impeccably decorated. 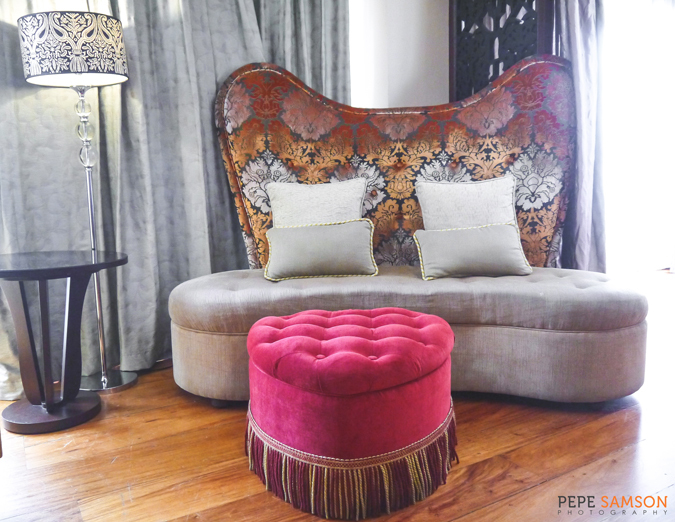 Chaise lounges, high-back chairs, colorful walls, high ceilings, and decorative lamps brighten the space. Soft French, Italian, and Spanish music play in the background, instantly changing the mood. 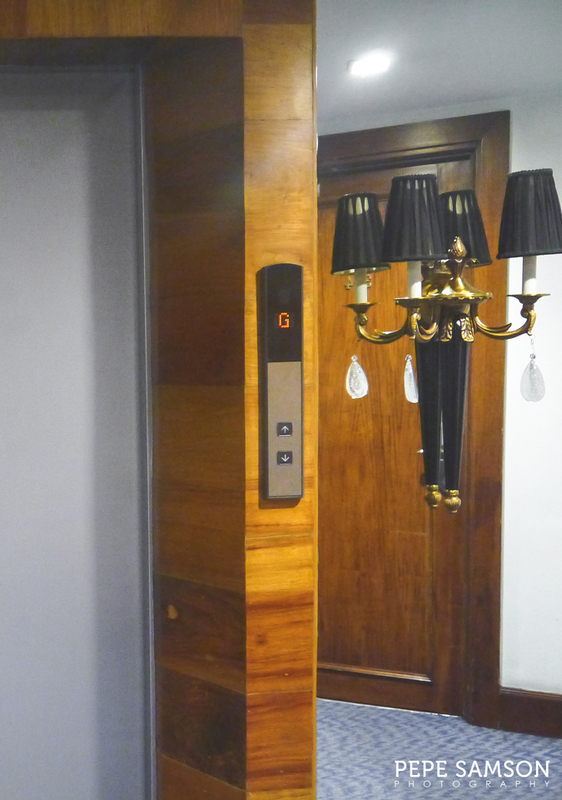 Even the elevators were well-designed—the doors flanked by lamps, the sides embellished with ornate columns of a golden shade. 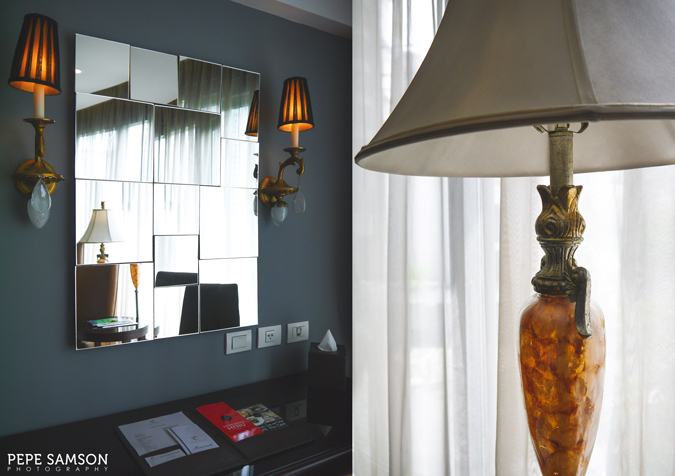 As I stepped inside, I could hardly wait to see our room. I almost squealed like a rat when I saw our room. 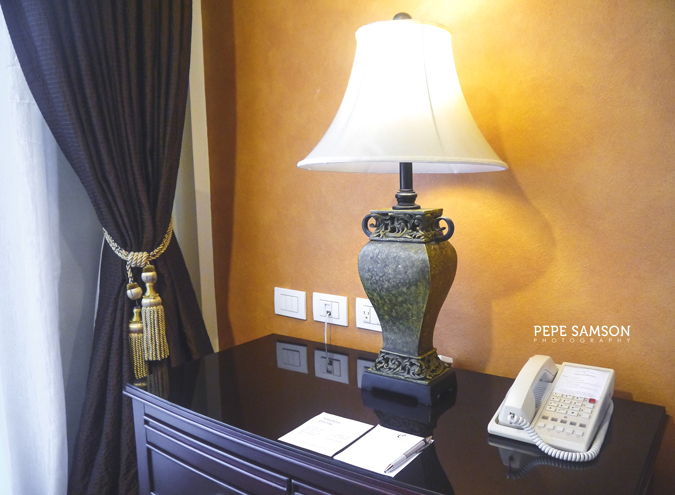 At 25 sqm., the spacious Deluxe Room is equipped with an incredibly comfortable King-sized bed (which was faultlessly arranged, I almost refused to lie down on it, LOL), a high-back lounge chair, a workstation, a mini-bar, a flat-screen TV, a closet, and an en suite bathroom. The first thing that caught my attention was the color scheme. 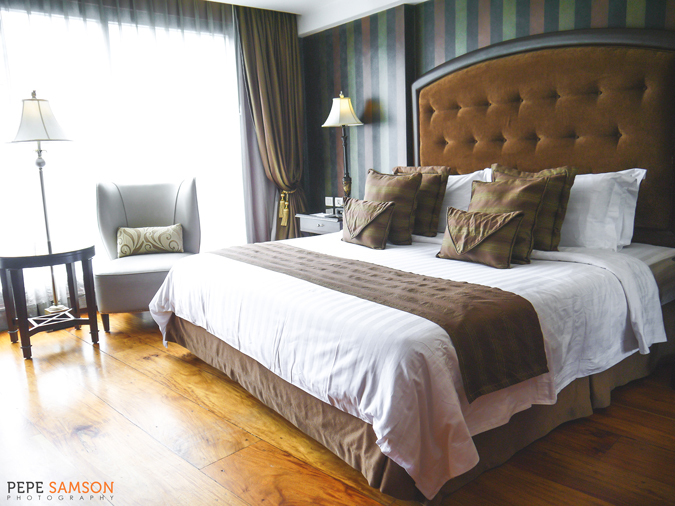 I loooove orange (I think it’s obvious from my blog schema) and this room had the nicest shade of orange I’ve ever seen used in a bedroom! 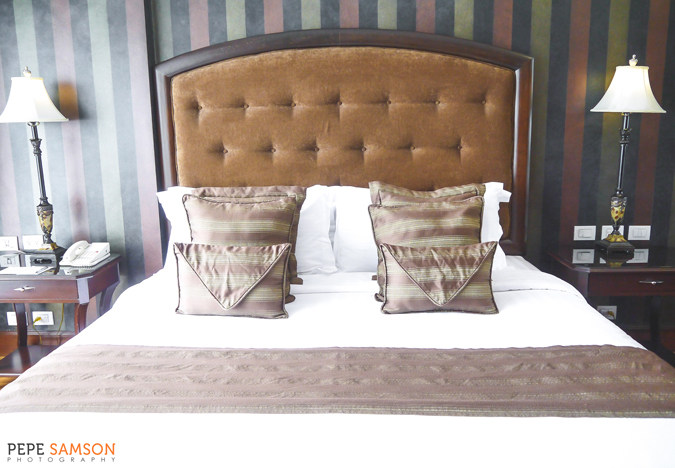 It gave off a warm sensuous vibe without being heavy, especially paired with brown hues and white. As my friend commented, “ang galing nila mag-match ng kulay”. You will find yourself checking out the details and losing track of time while doing so. I bet even the ones with the tiniest interest in design will be mesmerized. 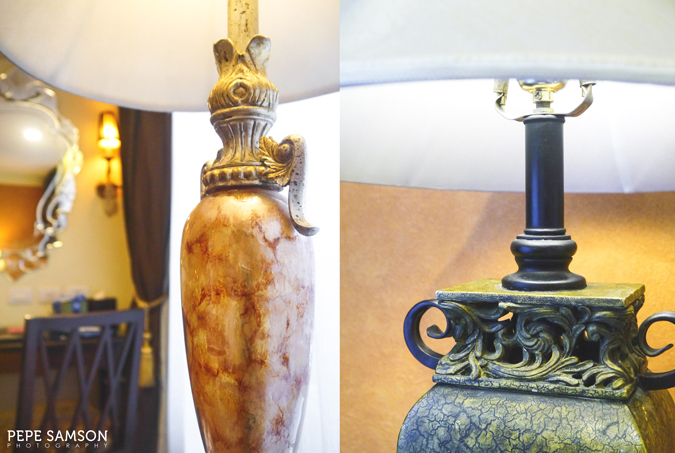 The pieces of furniture were bought from Europe. 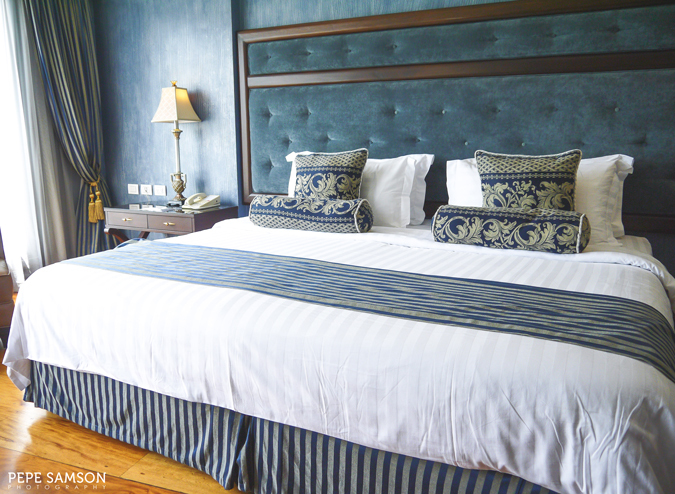 The headboard, pillows, cushions, trimmings, curtains, linen, woodwork, the dramatic lighting, the Narra floor … all of them were meticulously designed and chosen. The wall designs were hand-painted, so you will find a lot of quirky placements—like flowers sprouting out of the blow dryer stand, to name one. 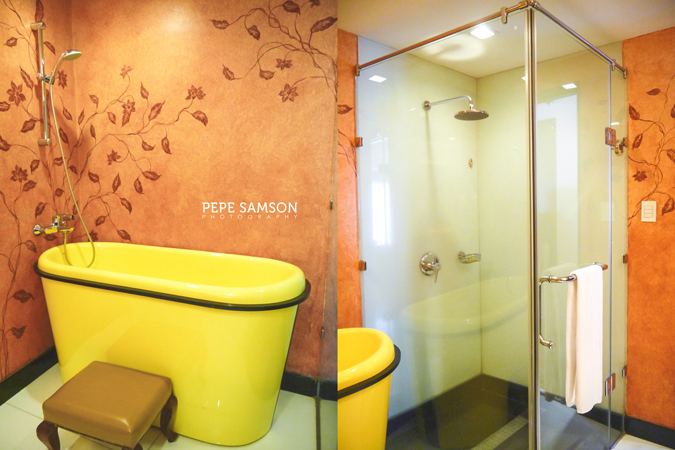 The same attention to detail was given to the bathroom, which despite being mid-sized, was far from ordinary. 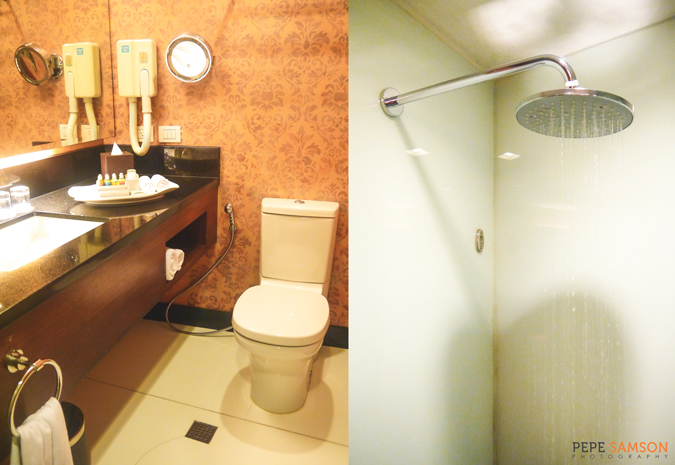 There’s a rain shower and a toilet with bidet—no bathtub though. I loved the first-rate L’Occitane products (shampoo, conditioner, shower gel, body lotion). 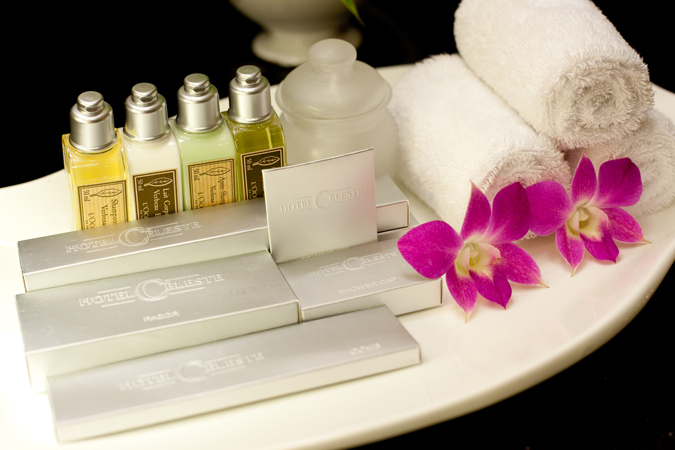 Complete toiletries, fresh towels, and bathrobes are also supplied. The Wi-fi connection was incredible—ultra-fast and consistent. This is a delight for us since we planned on being lazy all day and just watched movies via streaming, LOL! Ask for your personal password from the front desk. 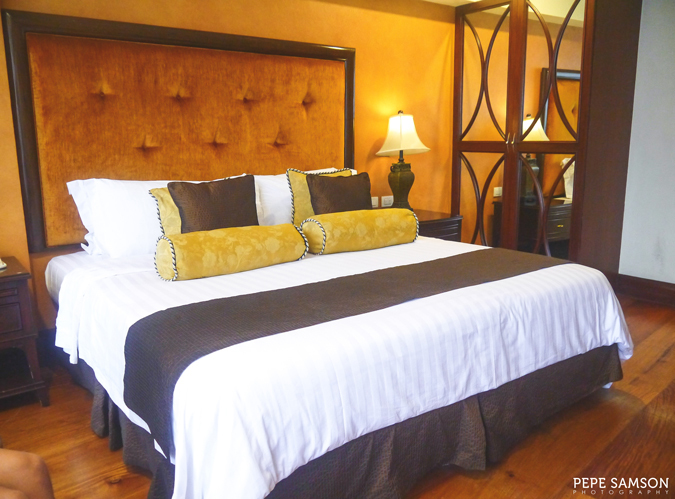 Indeed, our beautiful room was conducive to doing nothing—and this is exactly what we did! For once in my life, I didn’t crave to go out and drink in a bar or buy alcohol from the convenience store. Instead, I enjoyed every second of my stay. We were still admiring our room when someone knocked on the door. 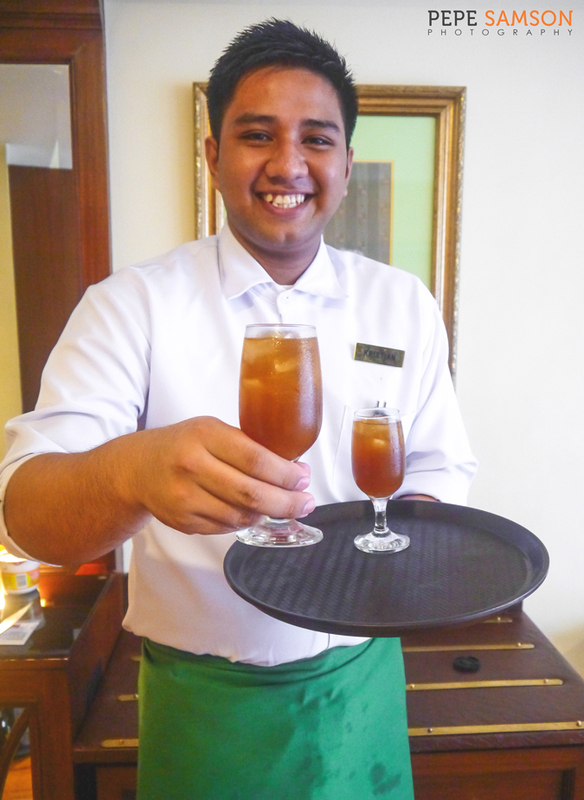 It was someone from the Hotel Celeste staff, bearing welcome drinks. He talked as if he knew us really well—no forced smiles and all. Seriously, how could this weekend staycation go wrong? 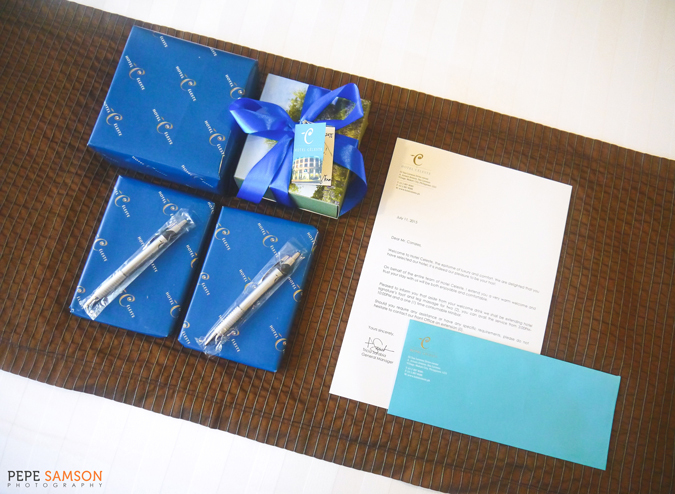 Laid down on the bed were welcome gifts from Hotel Celeste—beautifully-wrapped and arranged. There was also a welcome note, wishing us a fantastic stay. As part of our staycation package, we also got to experience Hotel Celeste’s complimentary foot and leg massage—which, as dancers, we were incredibly looking forward to for what seems like decades. The masseuse knew exactly what points to target—our feet got relaxed and loosened up, just exactly what we needed! We got to peek into the other rooms—curious as I was how different they were from ours. At this point, I’ll let the pictures do the talking (and let you admire them on your own). Get transported to Italy once you alight from the chic elevator. 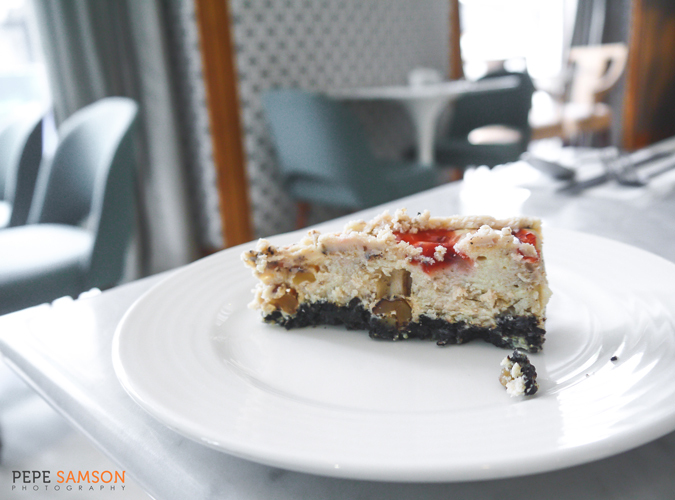 Checked-in guests get to enjoy complimentary breakfast from Bistro Lucia from 6:00AM to 10:00AM. Considering the number of guests that Hotel Celeste can accommodate, it was understandable that the buffet would be just as modest, but the selections were actually pretty good. 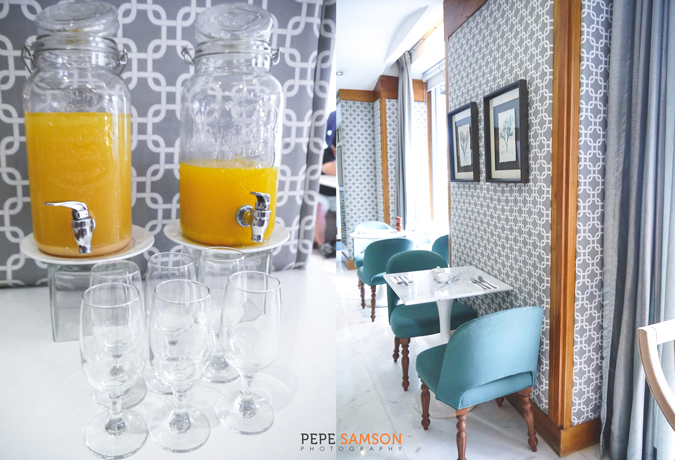 They kept it simple with an omelet station, a bread station, and a cereal station, with a few cold cuts, soups, cheeses, salads, fruits, and viands in between. The Italian coffee is unlimited. 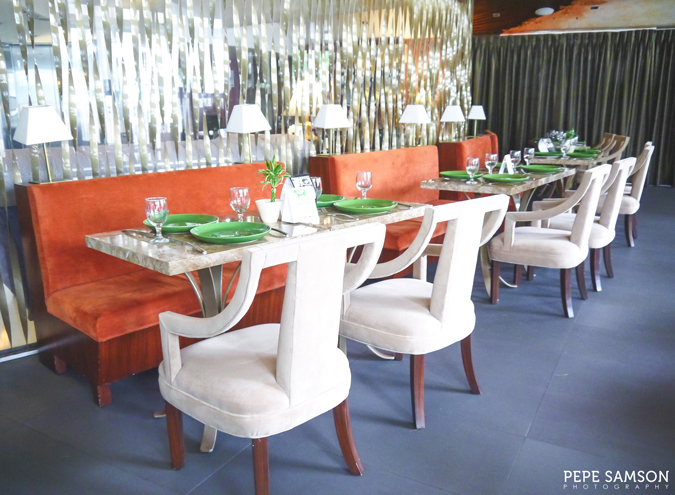 I loved the serenity of the bistro—it was small and unobtrusive, and the bright colors will surely perk you up while having your first meal for the day. The waitstaff were attentive while allowing you to enjoy your food and your conversations. 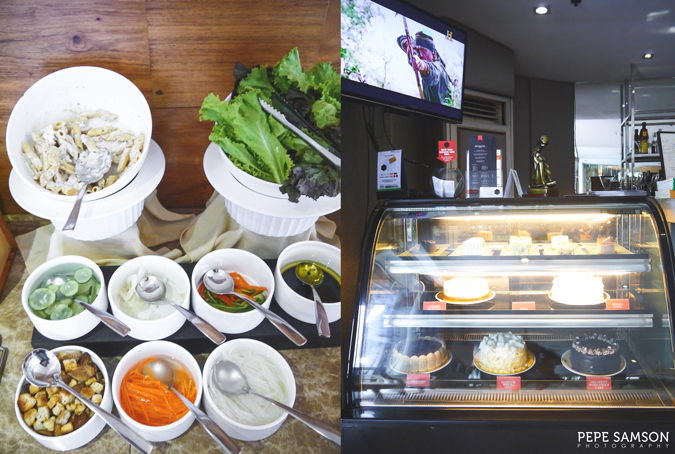 The bistro is open for walk-in guests as well, and serves cakes, light snacks, and coffee. Lucia Ristorante is on the other side, a semi-fine dining restaurant serving up classic Italian cuisines—both Northern and Southern cooking. Chef Davide Lombardi brought his expertise to the hotel’s restaurant with authentic, classic renditions of our Italian favorites. More about Lucia on a separate post! All rooms are non-smoking—despite being a smoker myself, I had to agree with this as I feel like I’ll be desecrating the beautiful rooms or something if I smoke inside. Smokers can choose to go downstairs or to the Open Deck on the top floor when they crave for a stick. The Deck offers a magnificent view of the city—the only thing lacking was a pool. 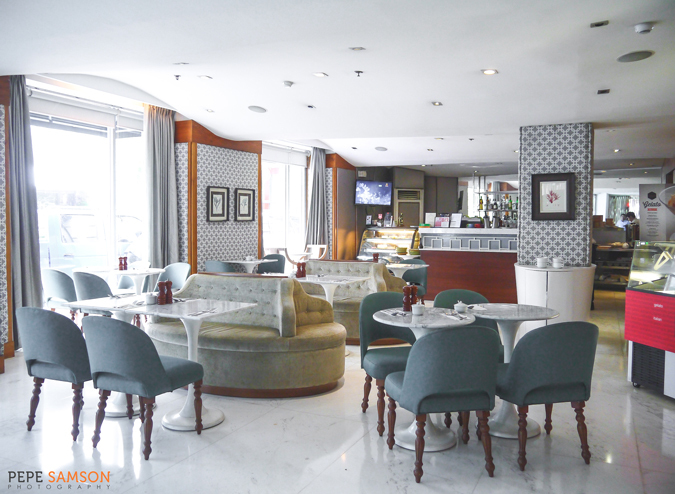 This area can also be rented for private events like small parties and celebrations (up to 80 persons). 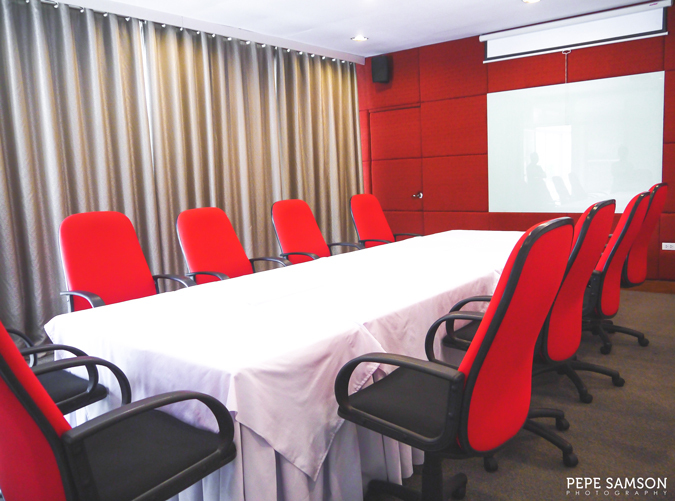 Checked-in guests and outsiders alike can avail of the Meeting Room (max of 25 persons)—perfect for lunch or dinner meetings especially for those with businesses around Makati. 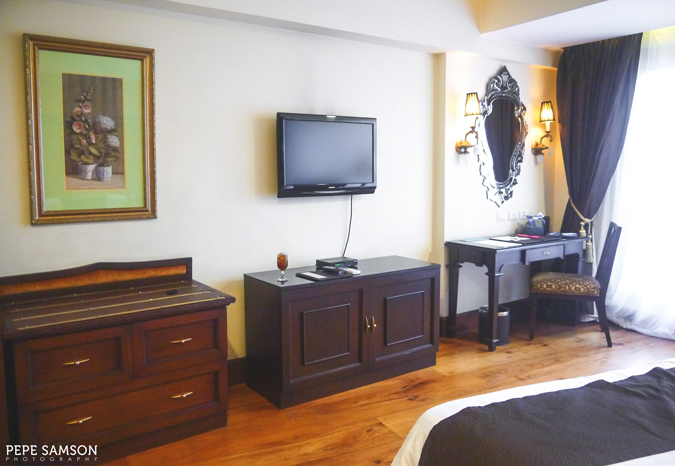 It comes furnished with the basic audio-visual equipment that any corporate function could possibly need. 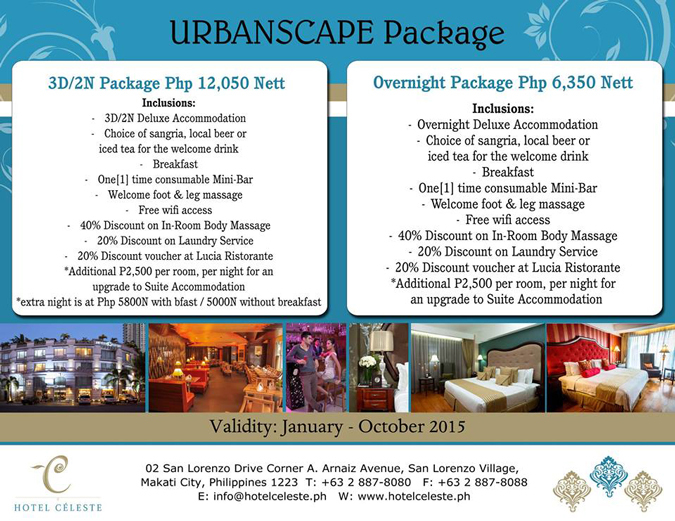 Those craving for a good pampering session can also avail of an in-room massage—just call the front desk for details. 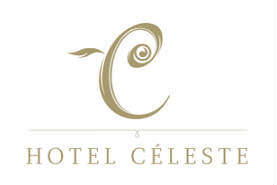 I think what sets Hotel Celeste apart from the others is its exquisite personalized service. Every one of their staff was incredible: professional without being stiff, friendly, casual, and sincere. Every word, every gesture was heartfelt—I don’t know how they do it! All I know is that I felt very comfortable, very pleased, and very well taken care of! This was something I had NEVER experienced elsewhere, despite stellar staff performance. 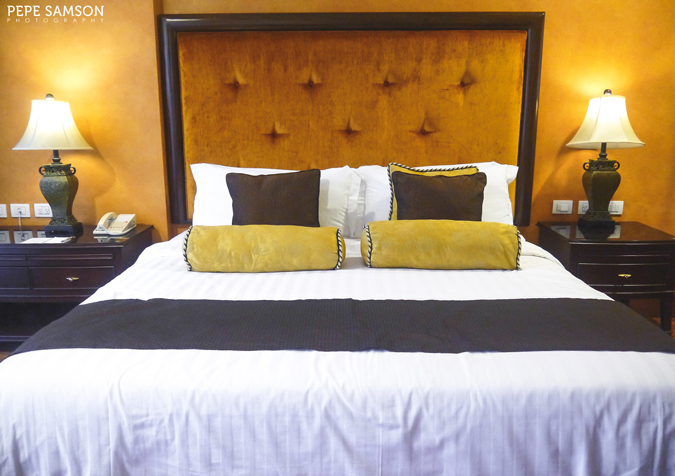 No other experience comes close yet to what I had while staying at Hotel Celeste. 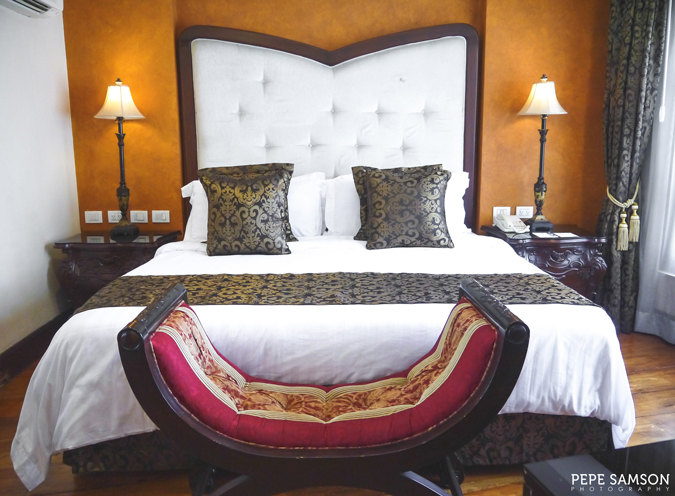 Everything screamed perfection: from the luxurious and gorgeous room, to the awesome service, to the lively and captivating ambience, to the incredible attention to detail. 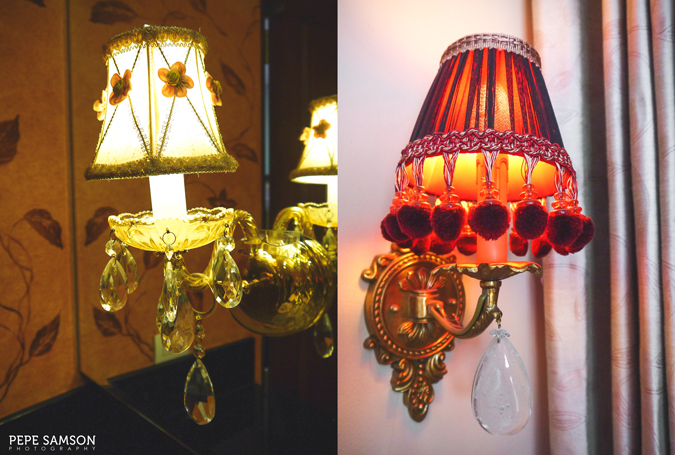 Hotel Celeste is unique and enthralling, a place I wouldn’t mind being transported into again. 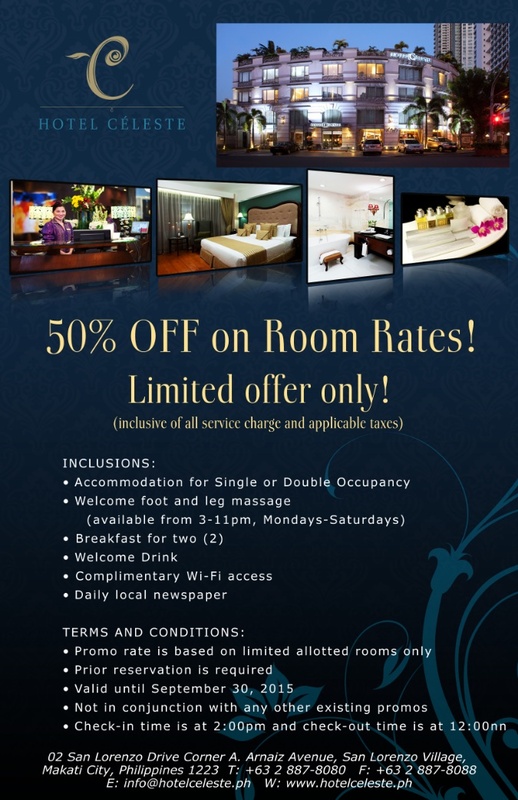 Indeed, for a one-of-a-kind staycation experience, I highly recommend choosing Hotel Celeste! Be prepared to be blown away, and don’t say I didn’t warn you. 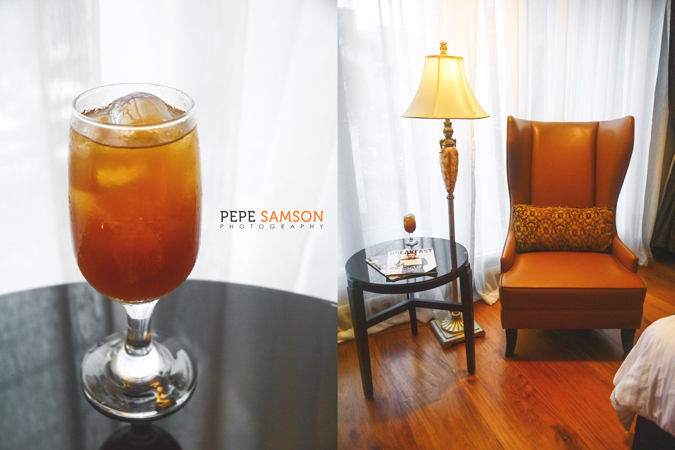 Intricate details, exquisite furniture, everything was just lovely. 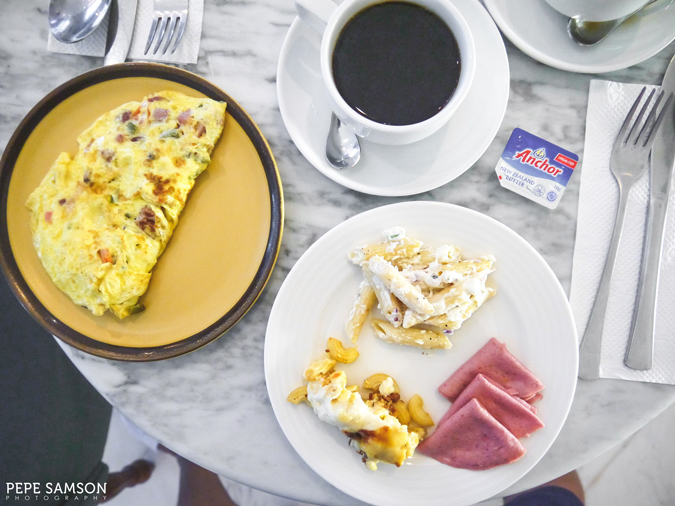 Breakfast spread is limited but selections are good; Lucia has great Italian food. The hotel transports you far away from the city and into Europe. 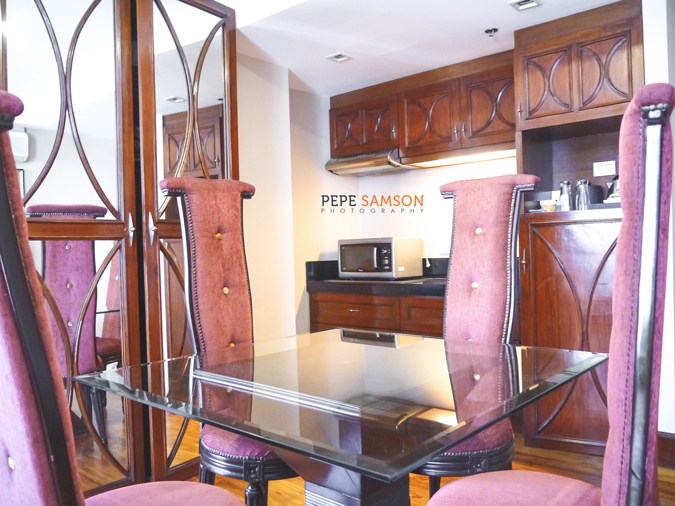 Near the Makati Central Business District, a few minutes drive from the airport. 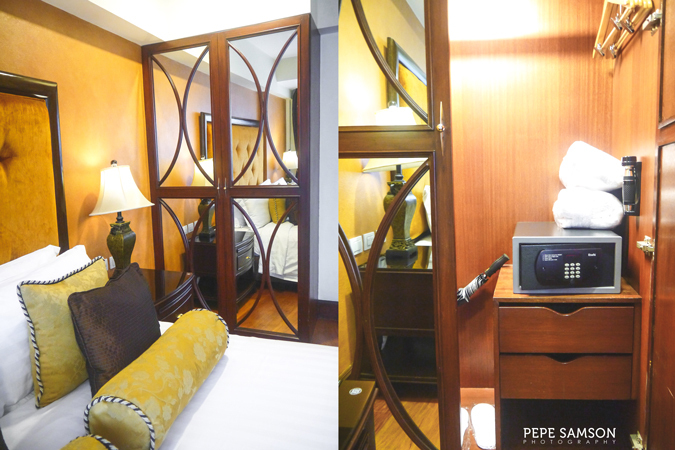 Maybe stocking the mini-bar with more expensive items would be a good idea to add to the luxurious feel of the hotel. The hotel is perfect enough as it is, but having a pool would be nice too. 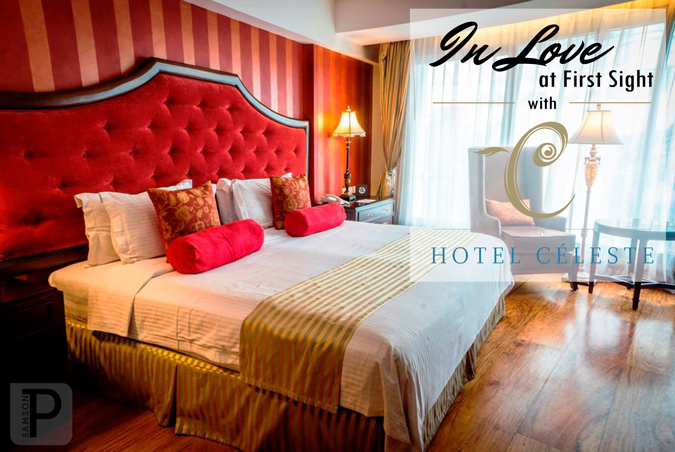 Have you stayed at Hotel Celeste? What was your experience? 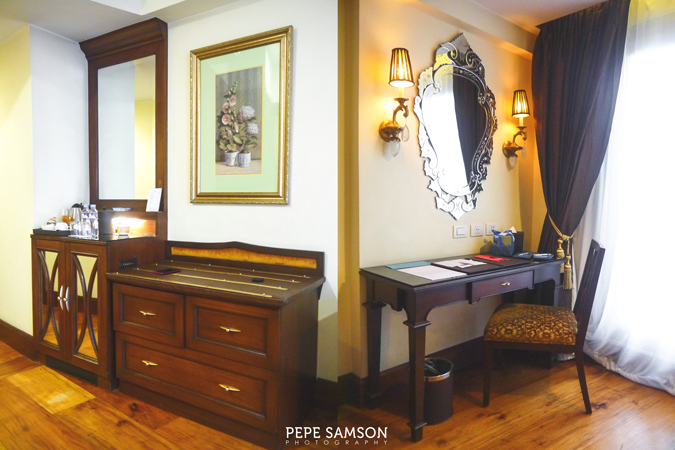 If you like my posts and would love reigular updates on travel photos, food finds, restaurant reviews, dance articles, and drunken tales, follow Pepe Samson on Facebook!